Flight Officer Kenneth V. Sartwell took off from El Paso, Texas, in a Vultee A-35B, on a ferry Flight to Phoenix, Arizona on March 8, 1944. At approximately 1245 MST while Flying at 12,000 feet, Flight Officer Sartwell was about 10 minutes past Cochise when he reported engine problems which worsened until he bailed out. 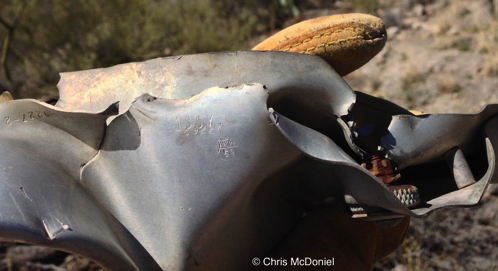 The aircraft was destroyed on ground impact east of Tucson. Startwell successfully bailed out. 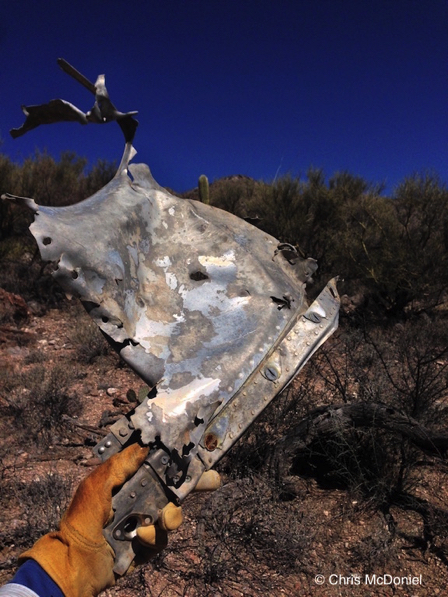 Small scattered debris remains at the crash site today. 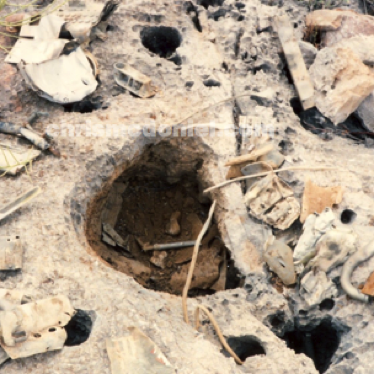 The AAF would dispose of debris in a variety of ways. 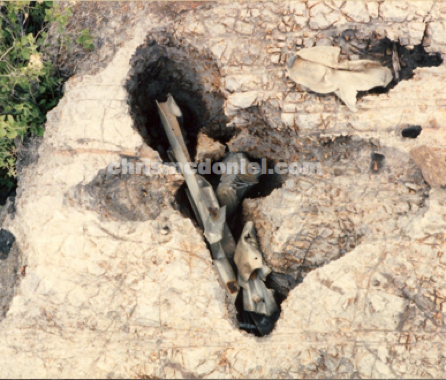 In the case of the A-35, debris was put into limestone voids and then covered up. Buried deris among limestone voids. More small debris among the limestone voids. 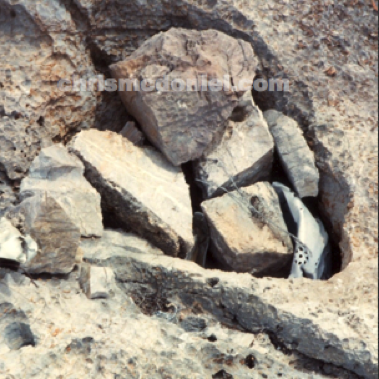 Debris I inspected in a limestone void. I put everything back so the next person could share the same experience. Scattered debris among the saguaros. Hard to see, but this part number prefix starts with an "88" which means it's from a Vultee A-35.